An umbrella is a kind of folding canopy which protects us against rain & sun. It is one of the incredibly important thing one must have. An umbrella is used in all seasons and is said to be a man’s best friend. One can buy umbrella online or from the market. 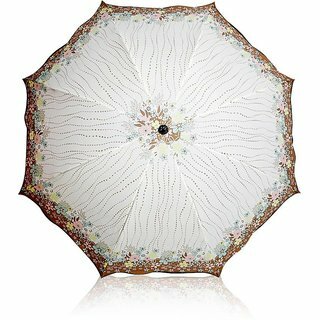 The price of umbrella varies as per the brand, fabric, folds, size etc. When you are looking for the latest umbrellas price list in india – then comparometer is the right platform. At comparometer, we compare umbrella prices & curate multiple websites to bring you the best umbrellas price list. umbrellas for kids – these are fancy umbrellas with whistles, cartoon prints & bright. 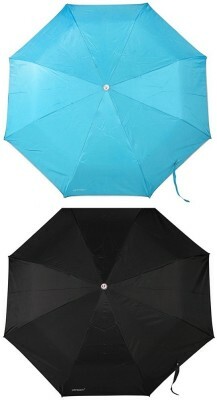 umbrellas for men – these are more of solid colors especially black umbrellas are highest sold. 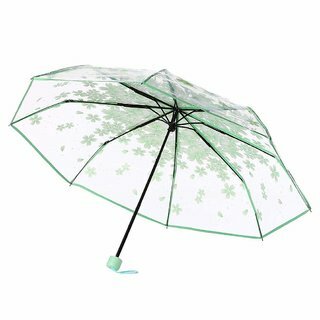 Umbrellas are easily available online at most shopping websites like flipkart, amazon, pepperfry, snapdeal. Shopclues, paytmmall etc. Finding the right umbrellas online is a tedious job. Therefore, we bring you the best selection of umbrellas online from top shopping websites & make your umbrella shopping easy. Moreover, we help you compare umbrella prices at one place so that you can buy the best umbrellas at the lowest price. Keep yourself dry & protected from rain & heat this year. Happy Comparing! Umbrellas price list in India shown above is curated from top online shopping websites in India like Amazon, Flipkart, Snapdeal. To compare Umbrellas prices online, please select (click) a given Umbrellas. During Umbrellas price comparison, Umbrellas price in India may vary. Umbrellas Price List is valid in Chandigarh, Mohali, New Delhi, Mumbai, Pune, Bangalore, Chennai, Hyderabad, Jaipur, Kolkata, Ahmedabad, Surat, Rajkot, Kochi, Aurangabad, Amritsar, Bhopal, Bhubaneswar, Gurgaon, Noida, Trivandrum, Nagpur, Lucknow, Mysore, Bengaluru, Kochi, Indore, Agra, Gurugram, Mangalore, Calcutta, Vizag, Nashik, Ludhiana, Jammu, Faridabad, Ghaziabad, Patna, Guwahati, Raipur, Ranchi, Shimla, Mysuru & all other cities in India.